During April, two teams represented the school in the later stages of major competitions. 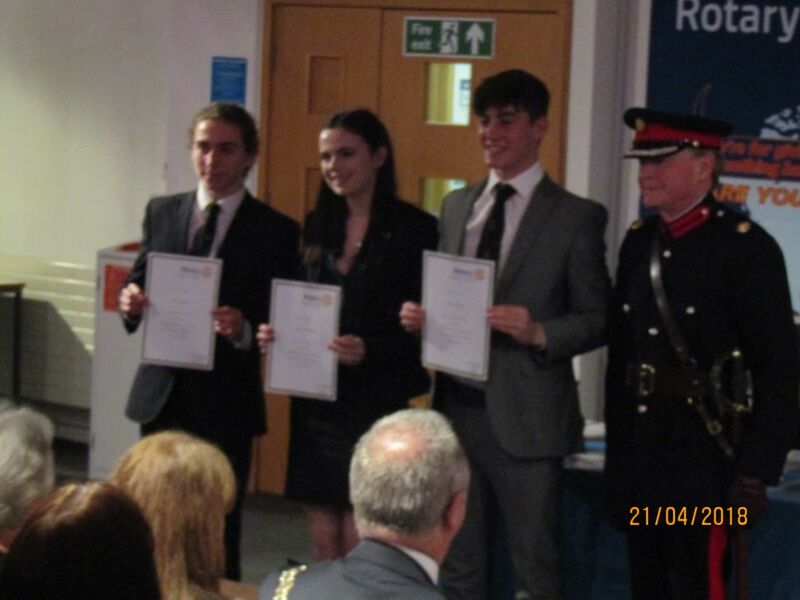 Our Sixth Form public speakers forsook the pleasures of a beautifully sunny afternoon to contest the Eastern Region final of the Rotary Club’s “Youth Speaks” Senior competition in a ferociously air-conditioned lecture theatre at Anglia Ruskin University in Chelmsford. 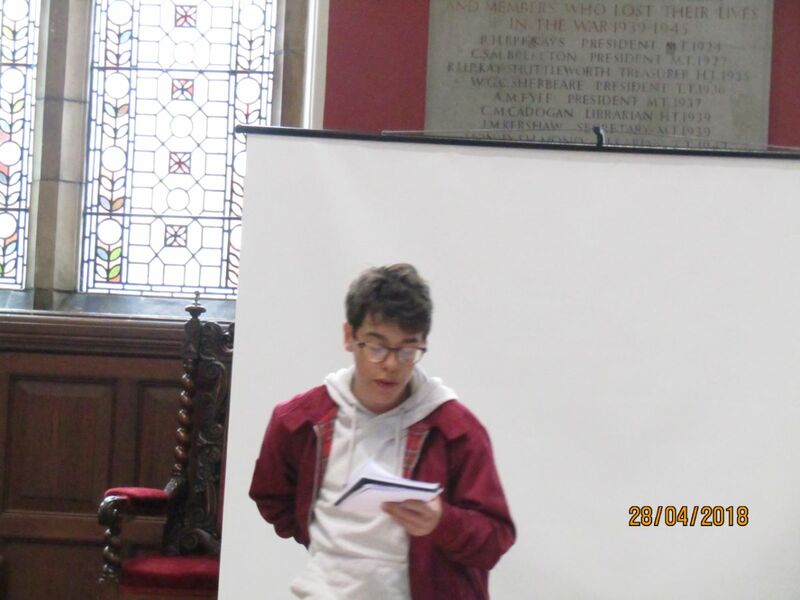 Up against teams from the Perse School, The American School in London and Dame Alice Owen’s School (Potter’s Bar), we were drawn to speak last. 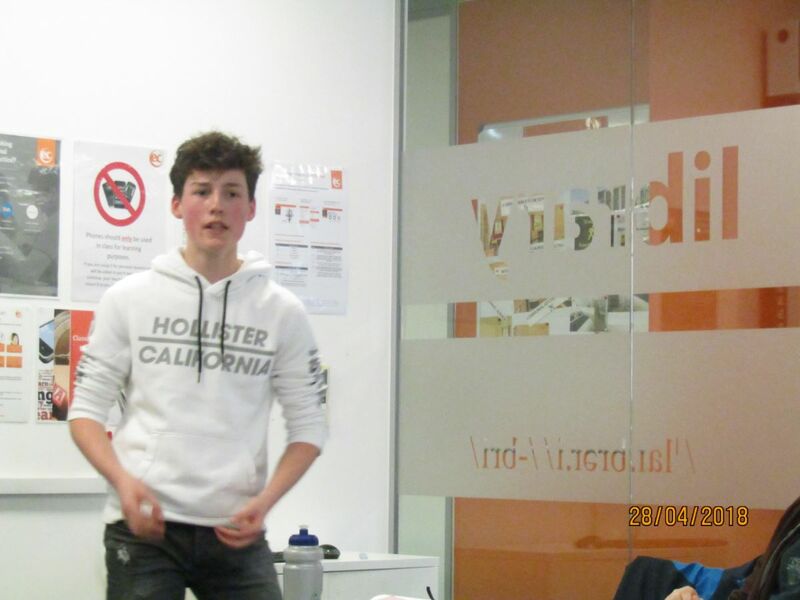 Chairman Jack Boulter gave a very confident performance, introducing his team mates and the topic of compulsory voting with great authority and good humour. He even managed to include a reference to the presentation given by one of the teams in the preceding competition for Years 7 to 9. Millie Mitchell’s speech, entitled “Should We Have to Vote?” made excellent use of voting statistics to support the case for compulsory voting. 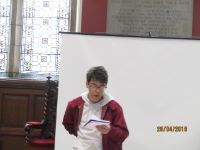 Millie developed the subject really well, addressing some of the potential objections to her proposal, and made very good use of gesture in her presentation. She also gave an excellently balanced and well-considered answer when asked whether a system of proportional representation might be a better way to combat low voter turnout. 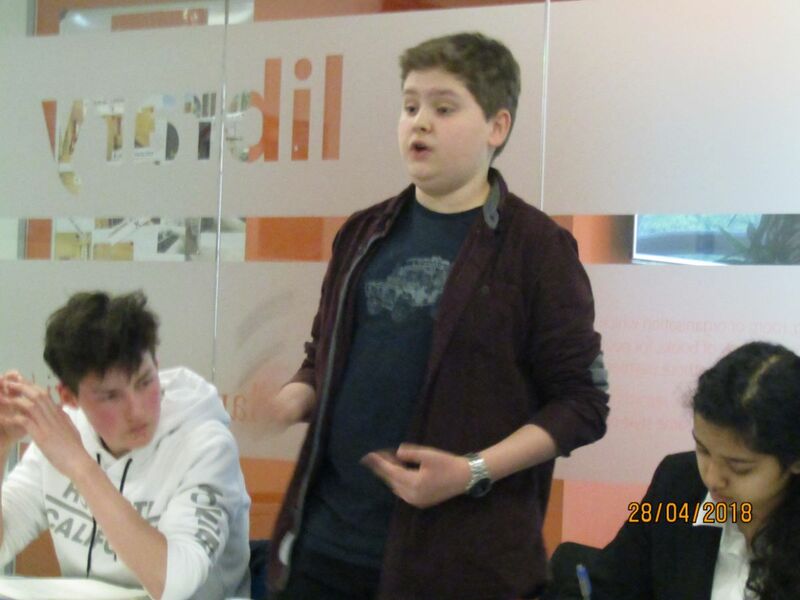 Max Hadley gave a very assured vote of thanks, rightly congratulating Millie on the persuasiveness of her speech and, referring to the power of a vote, quoting Spiderman’s observation that “With great power, comes great responsibility”. The least experienced member of the team, Max improved with every round of the competition. 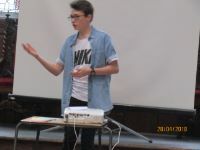 The standard of performance, particularly from the main speakers, was notably higher than in the District Final, especially in the case of a passionate and beautifully phrased speech about modern slavery by the Dame Alice Owen’s speaker. 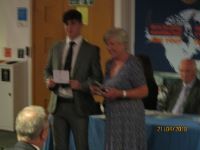 However not all teams carried out the prescribed functions of the supporting members as laid out by the Rotary Club, so it was difficult to pick a winner. Although Max was awarded the prize for Best Vote of Thanks, the overall verdict went to Dame Alice Owen’s School. From the judges’ feedback afterwards, I estimate that we were placed second so, like last year, it was a case of “So near and yet so far”. Nevertheless, our team members deserve every congratulation for their superb efforts throughout the competition. Many thanks are also due to their parents, Mr Stark, school governor Mrs Hart and Sixth Formers Sara Dalzell, Charles Lockie, Tiegan Meadows and Ryan Wilson, who all gave up their time to come and make TBSHS the best-supported team of the day. The following weekend saw two teams of Year 9 students taking part in Finals Day of the International Competition for Young Debaters at the Oxford Union (ICYD). 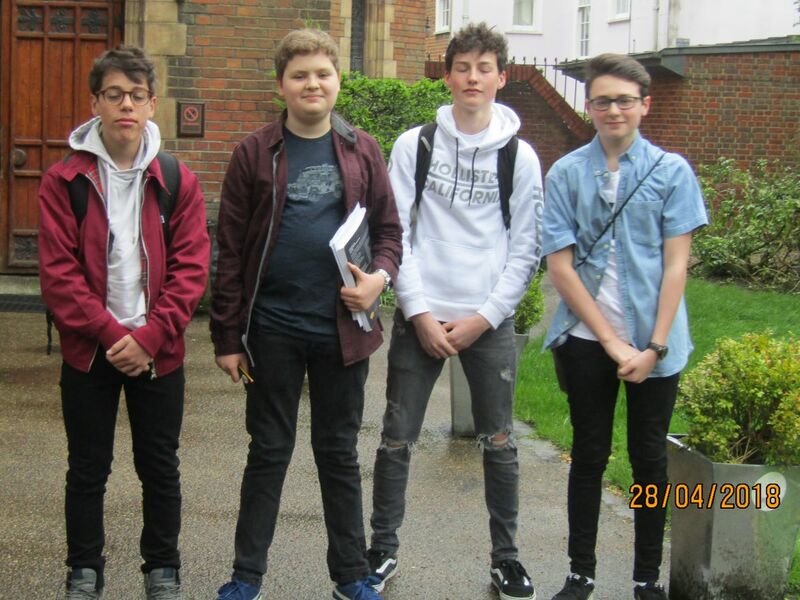 After the excitement of arriving at our hotel at the same time as a hen party, Finn Aylott, Tom Harding and Elliot Wood turned in early, with the party being joined around midnight by Finn Lihoreau, hot foot from a concert in the Albert Hall. Up bright and early for a hearty breakfast, we arrived at the Oxford Union at 8:30 am, to face teams from all over the UK, along with some from international schools in Canada, India, Greece, Hong Kong and Hungary. In the first of the four rounds of debating both our teams had to close the case for the motion “This House Would Ban Religious Primary and Secondary Schools”. Subsequent debates covered celebrity leadership of social movements, a proposal to give any voters under the age of 30 two votes in any election and the belief that developed countries should pay poorer ones to conserve their natural resources in environmentally significant areas. 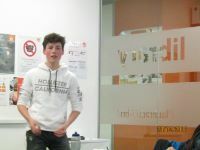 In the first round Tom and Elliot found themselves up against strong opposition from some London independent schools and had to settle for a fourth place. 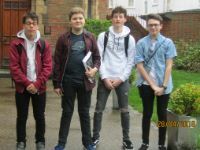 However, they hit their stride with a first place in the next round, narrowly beating a team from Westminster School and followed this up with another victory. 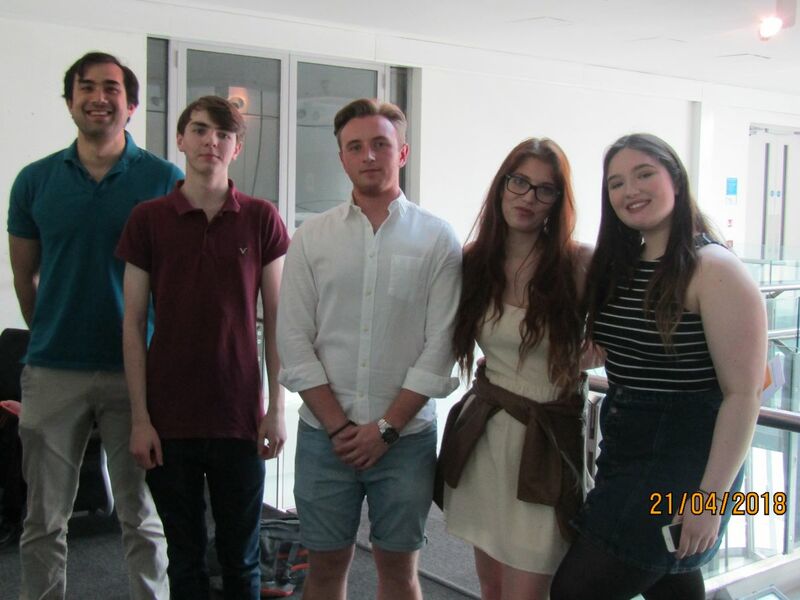 This meant that, for their final debate, Elliot and Tom could expect to be up against some very strong opponents and they could only manage fourth place behind three teams that all finished in the top 20 overall. Finn and Finn started with a third place ahead of Worcester RGS, but for three successive debates they had the difficult task of speaking in the ‘bottom half’ of the debate against tough opposition. When they did eventually get the chance to chance to open a debate and speak in the famous Union chamber they performed impressively, but inexplicably they were awarded another fourth place when most observers felt that they deserved much better. In the final standings Tom and Elliot finished in 32nd place out of 60 (which I believe made them the leading team from a British state comprehensive), with the two Finns some way below them. 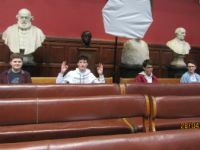 All four students, in their first year of interschool debating, competed with cheerful enthusiasm all day, against opponents who were more experienced and, in most cases, a year older than them. They interacted well with fellow competitors from all over the world and were excellent ambassadors for the school. The students appeared to enjoy the experience and I am sure that they learned a great deal, which hopefully they will be able to put into action next year, in this competition and others. Many congratulations to them and thanks to Miss Davies for giving up much of her weekend to provide support and transport.